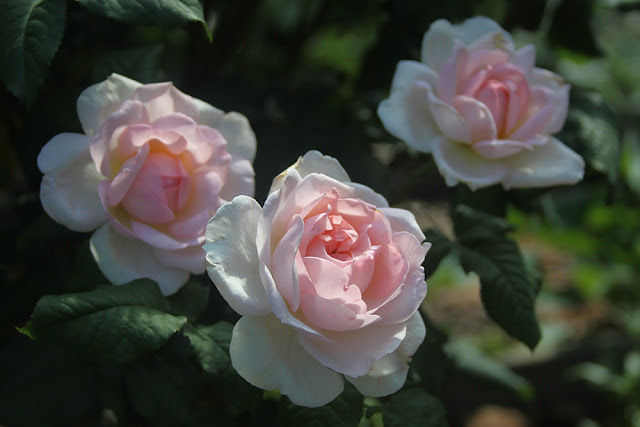 Most of you already know how much I love flowers and how they play such a big part of my creativity. 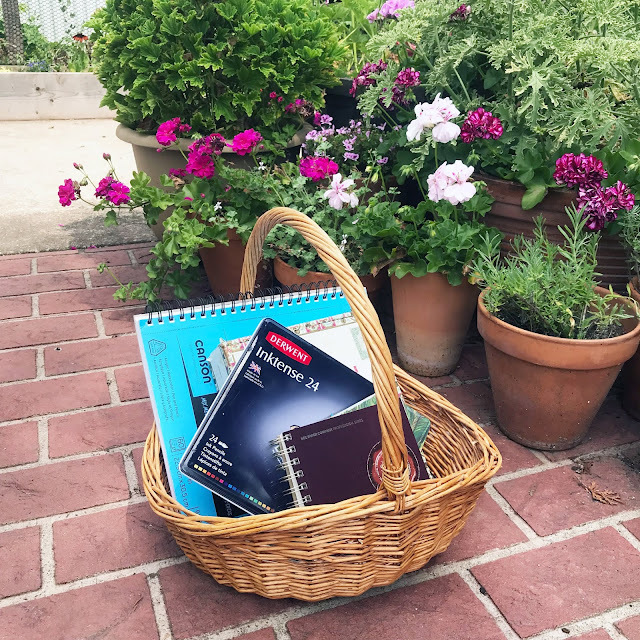 Flower-filled summer is my favorite time of year and my garden is my favorite place to be (and a big source of inspiration). But because I live in Wisconsin, that's maybe 4-5 months of the year. What do I do the rest of the year??? Sometimes it can be very tricky for me to stay inspired when I can't be outside in the sunshine digging in the dirt. Years like this one, where winter drags on and on, are quite the challenge. One thing that helps me stay inspired (and sane) is my indoor garden. 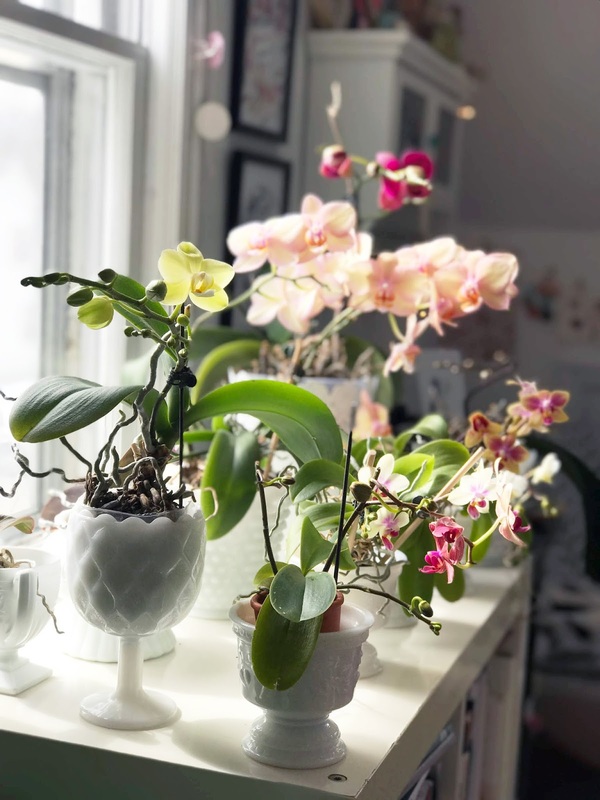 I have plants in just about every room of the house, some with flowers and some without. The plants that have the most flowers and bloom the longest are my orchids. I have a collection of them in my studio and every winter they gift me with their beauty. I can never resist painting at least one. In it I demonstrate how to observe and sketch orchids. 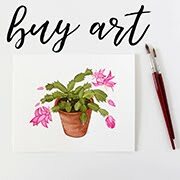 I break down the process of painting the different parts of the plant as well as show how to put all those parts together into a finished painting. 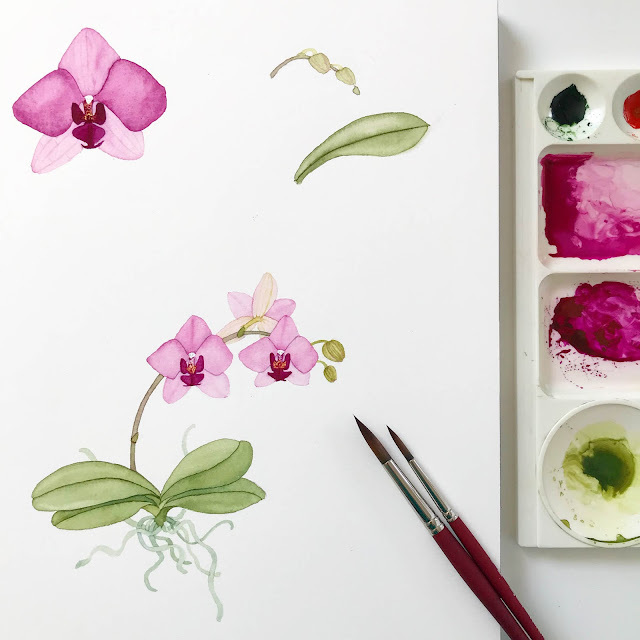 Learn to Paint Watercolor Orchids is my 14th Skillshare class. I published my first class on Skillshare in July of 2016 and now I'm one of Skillshare's Top Teachers. Although I have announced my classes here on my blog, I haven't really talked much about what Skillshare is, how I came to be teaching there and why I'm continuing to share classes on that platform. Skillshare is a subscription-based online learning platform. You sign up and pay a single monthly fee to access all of the classes there. It's the same concept as something like Netflix or Creativebug. As long as you have an active Premium Membership you can watch everything on the site (more than 20,000 classes to date). If you don't have a paid Premium Membership, there are some free classes (and all of the class introductions are free). As a special offer you can get 2 months of Premium Membership for free. After that it costs $15 a month to continue your membership (cancel any time) or $99 for a year. Unlike Netflix and Creativebug, anyone can upload content** to the site as long as it adheres to the Skillshare guidelines. The best classes (and teachers) rise to the top and are easier to find. Skillshare also promotes the newest classes in order to keep things fresh. 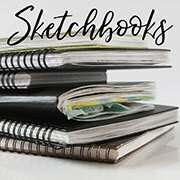 I've found some really great classes and teachers on Skillshare and I wish that I had more time to devote to taking classes. 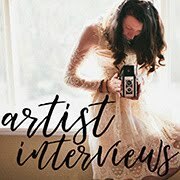 (Jessica Swift recently moved Pattern Camp to Skillshare and I'm looking forward to taking it!). How did I come to start teaching there? 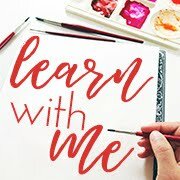 I was contacted by someone from Skillshare and asked if I was interested in teaching. At the time I knew nothing about recording or editing video. The idea both scared me and excited me. The learning curve was steep, but I enjoy a challenge. I also love to encourage and inspire others -- it's part of the mission of My Giant Strawberry -- so adding teaching to what I do made sense to me. Skillshare also added another revenue stream to my art business. They pay me monthly royalties calculated by the number of minutes of my classes that are watched each month. 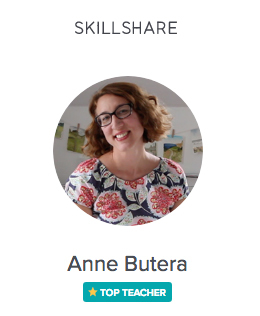 I get paid for referrals, too, which means that every time someone signs up for Skillshare based on my recommendation I get paid for that. 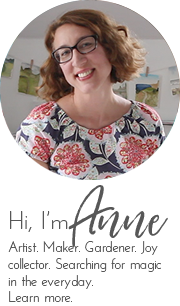 Beauty, magic, joy and creativity are at the heart of my business; money isn't a driving force to what I do, so I always find it a little awkward talking about it. Money is a necessary part of life and an important part of business. Skillshare lets me share beauty, magic, joy and creativity with a much larger audience than I could reach on my own and they pay me to do it. I think it's a win-win situation. I'm excited about this new class and I hope you are, too. 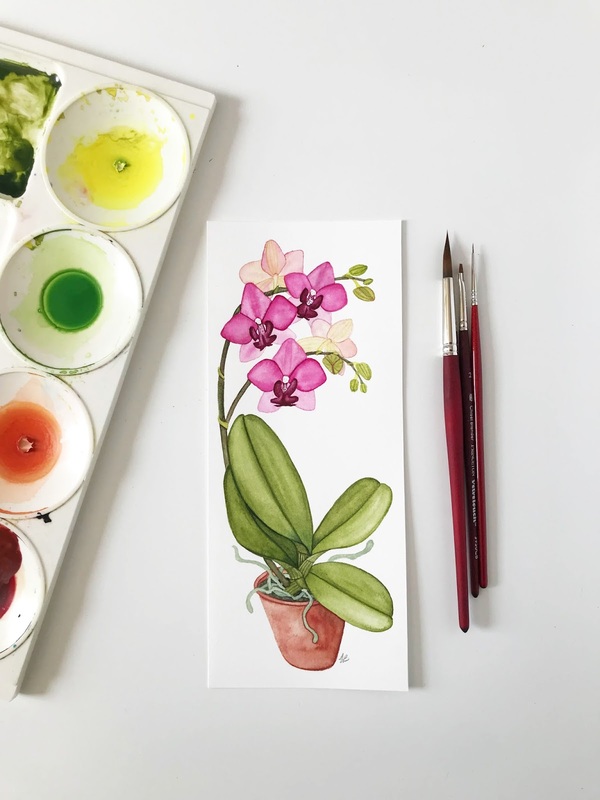 I'd love to have you join me in learning how to paint orchids with watercolor. I'd also love to know what else you'd like to learn. I'm always open to ideas from my students. 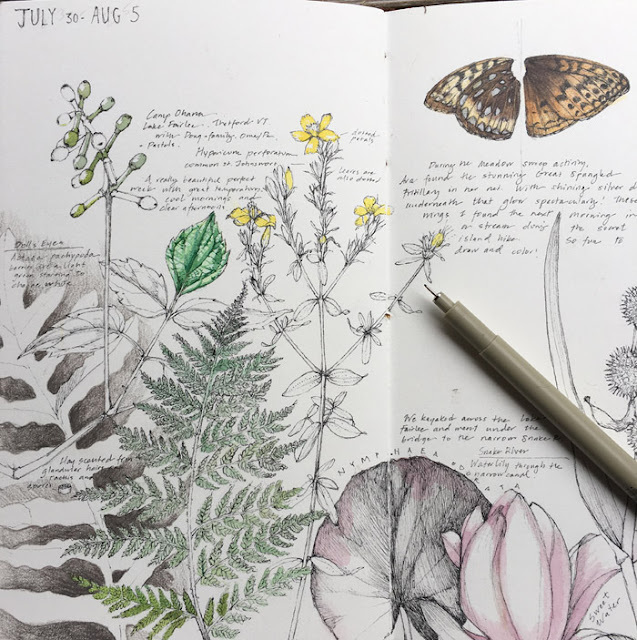 Right now I'm thinking about another sketchbook class (or two) as well as a Photoshop class that shares my process for designing calendars that can be printed by Spoonflower as tea towels. *extra points to anyone who notices what I'm wearing in the video. **Are you interested in teaching? Contact me with questions or follow this link to get started.